Jacqueline Toews and Jessica Giles are two of the young people enrolled in the 2018-19 Cattlemen’s Young Leaders Program. Jacqueline Toews grew up on a commercial beef operation near Glaslyn, Sask. Her experiences in 4-H and on the family ranch ignited a passion for agriculture. Toews earned a bachelor of science, and her undergraduate thesis project was used to select alfalfa cultivars that better withstand grazing. She is now pursuing a graduate degree in animal science from the University of Saskatchewan. 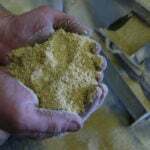 Her graduate thesis, supervised by Dr. Bart Lardner and Dr. Jeff Schoenau, evaluates annual polycrops for soil health, grazing capacity and economics. 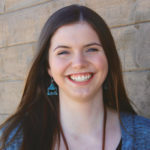 Toews plans to cultivate a career as a forage and rangeland specialist, where she can work with producers and help drive success on their operations. 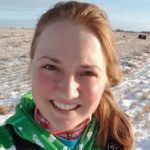 Jessica Giles’ love for the beef industry was sparked on the family farm, a mixed grain and commercial cow-calf operation, and fuelled by her experience in the Longview 4-H Beef Club. Giles earned a business administration diploma in marketing from Lethbridge College before returning to her family’s mixed grain and commercial cow-calf operation. 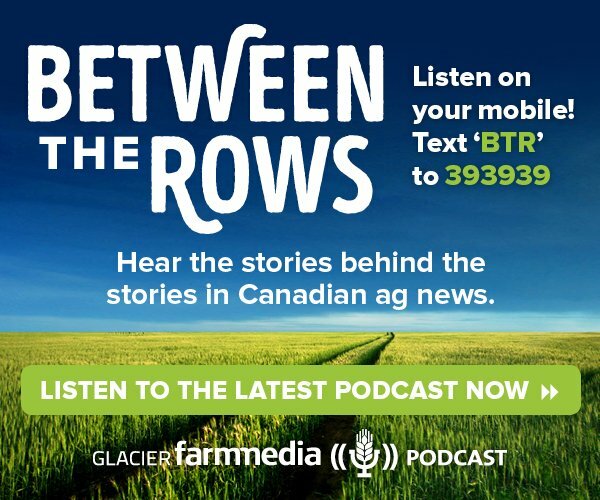 She is based near High River, Alta., where she’s an agriculture reporter for Golden West Radio. Giles has also been building her own small herd over the last several years and is a 4-H project leader. 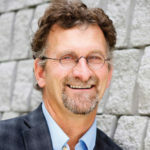 After nine years, Rob Bonnett has stepped down as president of the Canadian Federation of Agriculture. Mary Robinson, past-president of the PEI Federation of Agriculture, has assumed the presidency. 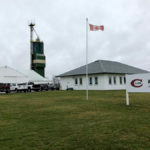 Keith Currie of the Ontario Federation of Agriculture is first vice-president and Chris Van den Heuvel of the Nova Scotia Federation of Agriculture is the second vice-president. 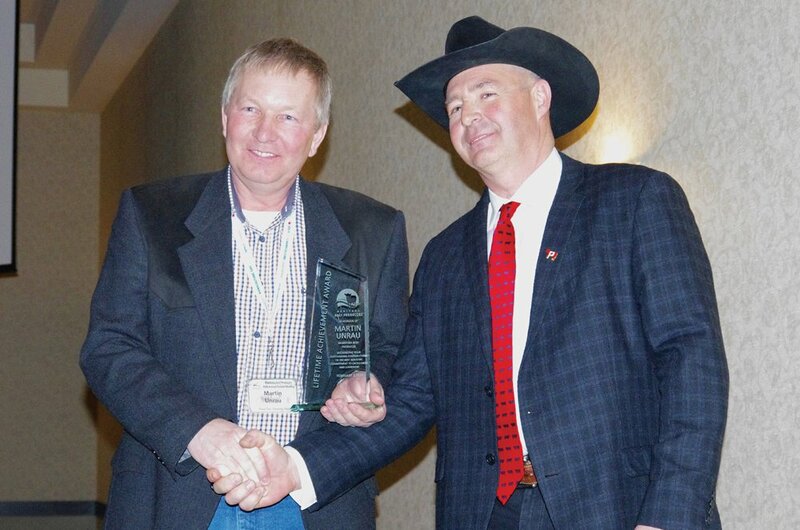 The Manitoba Beef Producers presented a lifetime achievement award this winter to Martin Unrau, making him the second person to receive the award in the organization’s history. Unrau cut his teeth in beef politics in 2003, during the BSE crisis. 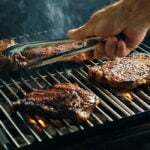 He was elected to the Manitoba Cattle Producers Association (which became the Manitoba Beef Producers). 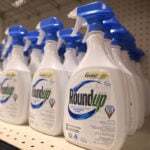 He went on to serve as president of the Canadian Cattlemen’s Association (CCA). 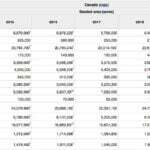 While Unrau was at the helm, the CCA saw a Canada-EU trade deal, under-30-month beef gain entry to Japan and improvements to insurance programs. Unrau also helped develop the Young Cattlemen’s Council, chaired the National Beef Strategic Planning Group and has been a mentor for the Cattlemen’s Young Leaders Program. Dr. Lisa Lomsnes has been appointed president of the Alberta Veterinary Medical Association for 2019. Lomsnes grew up on a grain farm and commercial cattle operation near Montmarte, Sask., and studied at the Western College of Veterinary Medicine. She practices at Lomsnes Veterinary Hospital in Red Deer. Dr. Luis Martin has stepped into the role of managing director of Canadian operations at PBD Biotech. PBD Biotech’s Actiphage test detects live bacteria within six hours for mycobacterial diseases, including bovine tuberculosis and Johne’s disease. 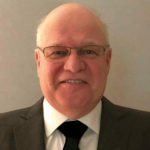 Martin brings over 30 years of diagnostic and biotech experience to the role, including more recently as CEO of PanProvincial Vaccine Enterprise in Saskatoon. Canadian Beef Check-Off Agency recently welcomed beef producer Terry Wiebe of Buick, B.C. Wiebe represents B.C. producers at agency meetings and is also the vice-president of the B.C. Breeder and Feeder Association. Neil Currie, general manager of the Ontario Federation of Agriculture (OFA), is stepping down. Currie has served as general manager for 19 years, the longest in the organization’s history. He will be retiring on August 30, 2019. In early March, the Alberta Veterinary Technologist Association presented awards at the ABVTA Member Recognition banquet. Karen Melnyk received the 2018 ABVTA Meritorious Service Award. Heather McGrath took home the 2018 ABVTA Lucille Landals Emerging Leader Award. Tracey Ruzicka received the 2018 ABVTA Appreciation Award. Marie-Claude Bibeau has been shuffled into the ag minister post, making her Canada’s first female federal ag minister. Prime Minister Justin Trudeau moved Lawrence MacAulay, the former ag minister, to Veteran’s Affairs after Jodi Wilson-Raybould’s cabinet resignation. 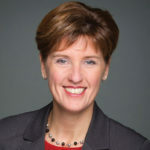 Bibeau is the member of Parliament for Compton-Stanstead, in Quebec’s Eastern Townships, a region with a strong dairy presence. Previously she served as Minister of International Development. 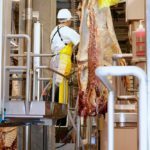 After her first public address at the Canada Crops Convention in Winnipeg in March, Bibeau told reporters that market access and trade are top priorities. Condolences to the family and friends of Heinz Lemmer, who passed away in February at age 63. 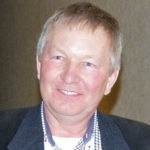 Lemmer was in his second term as an Alberta Beef Producers delegate for the Calgary area. Lemmer built a successful cattle operation and had a long career as a veterinary pharmaceutical sales rep, covering south-central Alberta and eastern British Columbia. His obituary notes that he was a man of his word and many of his clients became friends. He enjoyed a good laugh and bantering about the rural conservative perspective. Lemmer’s loved ones will be holding an outdoor celebration of life this summer. Memorial tributes can be made directly to the Heart and Stroke Foundation of Alberta or a charity of one’s choice.